China now is the largest manufacturer and user of architectural doors and windows and facades in the globe. The number of industry players in the construction industry of doors, windows and facades in China is approximately 6.8 million at present. 1/ The total number of enterprises in doors and windows industry in China is more than 30,000. Among them, 16,361 are manufacturers and fabricators; 8,247 are aluminum alloy windows and doors; 6,950 are plastic windows and doors enterprises; and 1,164 are the enterprises of other kinds of windows and doors. 2/ 732 enterprises are the aluminum alloy profiles manufacturers with production licenses granted by AQSIQ(General Administration of Quality Supervision, Inspection and Quarantine of the People's Republic of China). 5/ About 300 construction sealant companies. The reason why energy-saving doors and windows and energy-saving technologies have their vitality is that in recent years, countries in the world are committed to the application of new construction technologies, new materials and new products, pay more attention to environmental protection and energy conservation, and to the safety and comfort of buildings. Over the years, Chinese scientists have continuously developed materials with technical metrics, such as energy saving, environmental protection, and fireproof, which greatly promote the development of China's window, door and facade industries. 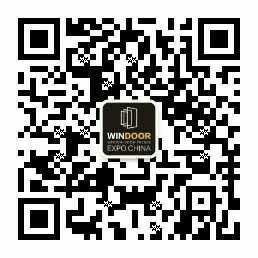 In particular, major breakthroughs in information technology, intelligence, energy conservation, environmental protection, noise reduction, fire prevention, anti-theft, and explosion-proof window door systems have laid a good foundation for the overall goal of building energy conservation in China. At present, the inventory of windows and doors in China is around 13 to 15 billion square meters. According to incomplete estimates, the one of facades is 1.5 to 1.8 billion square meters approximately. At present, most of windows and doors in China are applied to the commercial market. The commercial projects usually have large demand on uniform windows and doors, and requests for consistent functions and performance, fixed construction sites, ease of centralized procurement, large-scale production, and team construction. At the same time, as people's individual needs for better window and door functions and performance and the demand for existing windows and doors renovation have increased, the residential market in China is developing rapidly. So far, the residential market has accounted for about 8% of the total market and has been increasing year by year. With the stable development of the industry, the number of windows and doors in China has gradually increased. In recent years, due to the natural deterioration of the physical properties of existing windows and doors, natural degradation of performance and other reasons, the energy-saving renovation and safety maintenance of existing windows and doors have received wide public attention. Until now, the renovating market has accounted for about 6% of the total market, and will see an increasing trend continuously. 1/ The market share of the residential market will increase year by year. 2/ The renovating market will keep developing gradually. 3/ The amount of door and window products that meet the requirements of green buildings and energy-saving buildings will increase yearly. People will pay more attention to the quality of architecture. The overall quality and performance of the building will be better, and the speed of development will become more scientific and rational. 4/ High-quality development has become an industry consensus. The development of window door system will usher in a golden period. In recent years, energy conservation and safety maintenance of existing facades have received widespread public attention. The amount of retrofitting of existing facades has gradually increased. Up to now, the amount of existing facade renovation projects has accounted for about 5% to 7% of the total market. Many Chinese cities have experienced massive market-housing development. It's predicted that by the year 2030, China will add 310 million urban residents and the urbanization level will reach 70%. Accelerating the construction and allocation of public rental housing is high on the agenda of the Ministry of Housing and Urban-Rural Development (MOHURD). China sees public rental housing as a way of providing homes for families who have been priced out of the property market and has invested billions of Chinese Yuan. In 2018, 5.8 million houses will be built. China's existing building area exceeds 65 billion square meters. Many buildings are not energy-efficient, and needed to be transformed into energy-saving ones. Security maintenance is also required. Promoting energy-saving windows and doors has become the preferred direction for building energy-saving renovation.